You will experience the world-class service of a knowledgeable and experienced staff. Everyday low prices, and a huge selection of used vehicles. 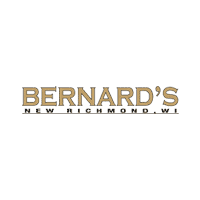 You can save time and money by visiting Bernard's first! Here you'll find a staff of highly qualified technicians with the knowledge. oil change or tire rotation. We are your number one pick for new and used CDJR and other vehicles, providing the outstanding customer service you expect from a dealer with more than 80 years of experience. We offer you a handsome inventory of new CDJR models. In addition, you’ll find a fine collection of Pre-Owned CDJR vehicles drawn from recent model years. Shopping for an affordable used vehicle? Come in and select one of our quality used vehicles from many manufacturers. The certified, factory-trained technicians at our Service Department in New Richmond, Wisconsin, use only Genuine MOPAR Parts to protect your CDJR vehicle. We never employ second-rate aftermarket parts to repair your CDJR vehicle, because they are often ill-fitting, defective and might void your warranty. Our easy-to-use website lets you value your trade-in, apply for credit, calculate your payments, schedule service and view vehicle service contracts. We also bring you an extended and Saturday hours, Express Lane Service, shuttle service, MOPAR performance parts and accessories, a tire store, and free WiFi. You can save serious money at our CDJR dealership through our many special deals. Come back to our website frequently for up-to-the minute information about specials on new, certified and used vehicles, as well as parts and service. We love offering you incentives and promotions to lower the cost of financing or leasing your next vehicle. Bernard’s Northtown CDJR has been around a long time because we give you the great service you deserve. Visit us today!